These are the imprint colors that we use on our Custom; Removable Vinyl Stickers, Ultra Removable Clear Decals and Static Window Clings. 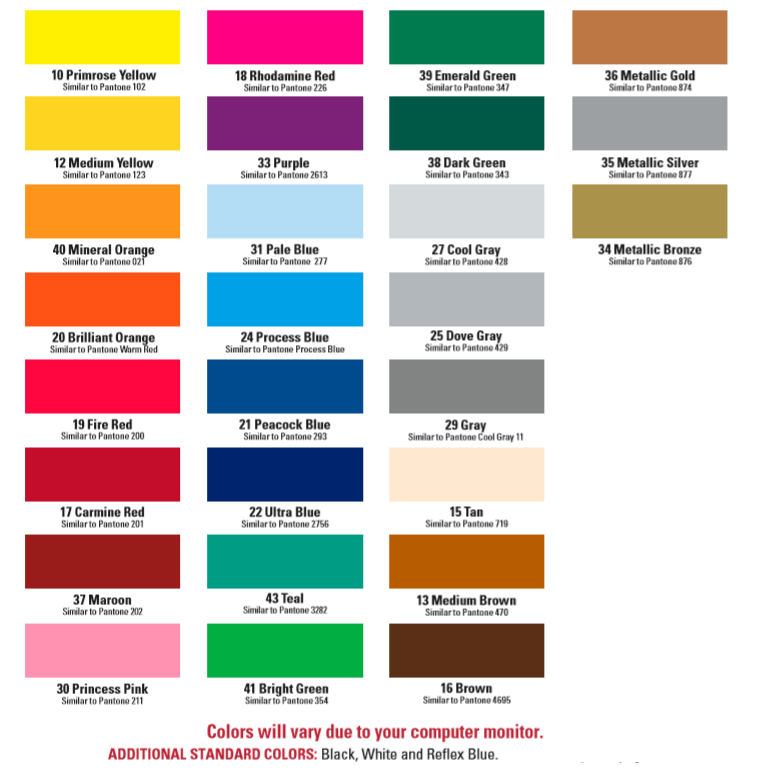 Use this chart for picking out your background and imprint colors. Peacock blue is a nice medium royal blue. Ultra blue is a darker royal blue. Process Blue is a cornflower blue. Teal is more green than blue. Mineral orange is like the fruit and brilliant orange is dark orange like the Caltrans workers wear on the highway in California. Bright green is a shade lighter than Emerald Green. Emerald Green is a Kelly or Grass Green. Dark Green is like Forest Green. Primrose Yellow is a sunny bright yellow. Medium yellow is a light athletic gold or a school bus color.